A little bit about Newman & Leventhal's history. We search out the best sources in the world for all of our ingredients. Whether it be prime, farm raised, Glatt Kosher beef and lamb, or locally grown organic produce, we believe that keeping kosher should never mean compromising quality. Our commitment to an exceptional dining experience at each of our events is why our clients return to us again and again. It is also why we have been selected repeatedly to collaborate with some of the best chefs in the world, including Daniel Boulud, Todd English, and Danny Meyer, on galas for organizations such as the Israel Philharmonic, Shaare Zedek Medical Center, the Elie Wiesel Foundation, and many more. 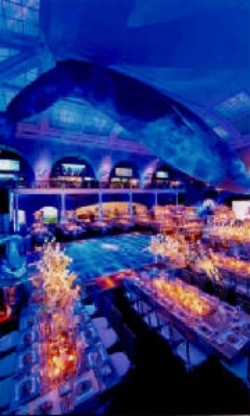 We are the exclusive caterer at Park Avenue and Park East Synagogues in Manhattan. Newman & Leventhal is also the preferred kosher caterer at many of New York City's and Long Island's leading hotels and exclusive catering venues.